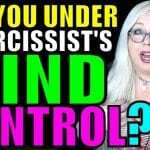 If you’ve ever been in a toxic relationship or in any way involved with a narcissist or someone who has NPD (narcissistic personality disorder), you may find yourself dealing with a whole host of symptoms, up to and including some serious mental and emotional disorders of your own. One of the most common after-effects of narcissistic abuse is PTSD/C-PTSD (post-traumatic stress disorder/complex post-traumatic stress disorder). 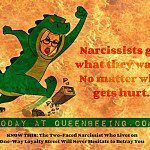 But even if it doesn’t get quite as far as a diagnosis, nearly everyone who is in or who has recently escaped from the abusive clutches of a narcissist can relate to the idea of feeling overwhelmed and upset to the point of having a physical reaction – it almost feels like you might be having a heart-attack. And as it turns out, that’s not so far from the truth. How can panic attacks affect my physical health long term? When panic attacks become a chronic issue, a sufferer can start to experience serious long-term effects on her health. 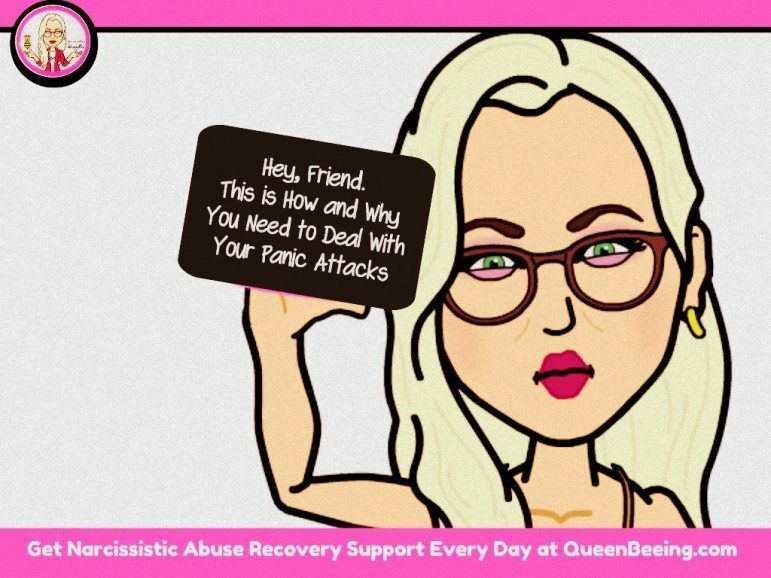 Anxiety is on the rise in general, whether its as a result of narcissistic abuse or otherwise, and these days, more people are seeking ways to stop panic attacks without having to rely on prescription medications. You might want to go with something more natural, such as intentionally changing your mind – but if you practice, you can work to stop a panic attack without any sort of intervention at all. FACT: Panic attacks aren’t all in your head! Your body reacts to the adrenaline by increasing blood supply, which makes you feel your heart pounding, your face and body flush – you sweat, your mouth gets dry and more. 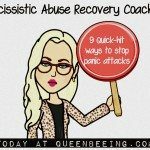 How do you stop a panic attack in its tracks? Your mind has to stop the flow of adrenaline in order for the physical symptoms to subside. You have to find a way to control your mind during these episodes or prevent it from occurring completely. STEP ONE: RELAX! First, you have to relax. Easier said than done when you’re going through a panic attack, right? But to stop panic attacks, you must get your mind and body to a more relaxed state. Deep breathing will help with this. TIP: Some people control panic attacks completely with deep breathing techniques. Try to focus your mind on the reality of the situation – that it’s only a panic attack – nothing more serious. STEP TWO: SELF-SOOTHE (Talk yourself through it!) Second, you have to talk yourself through this episode. Your mind is trying to tell you that death is imminent, that the worst is about to happen. Without publicly making a scene, close your eyes (if possible) and tell yourself that this is not an emergency – that you are not going to panic and that you will remain calm. How do you fend off panic attacks in the future ? 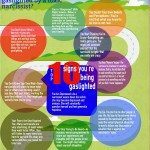 Related: Download this PERK (Post-Gaslighting Emergency Recovery Kit) for the next time you deal with this kind of stress. You can stop panic attacks without the help of any external sources if you learn to work through them. Your mind has a lot of power in controlling these episodes but it’s up to you to learn how to master the techniques that keep anxiety at bay. So how about you? Have you experienced panic attacks? How do you get through them? Share your thoughts and experiences in the comments below.